I do not do supernatural well, whether it be downright scary, psychological thriller or friendly ghost. So, for today’s challenge, I wanted something eerie but not scary. 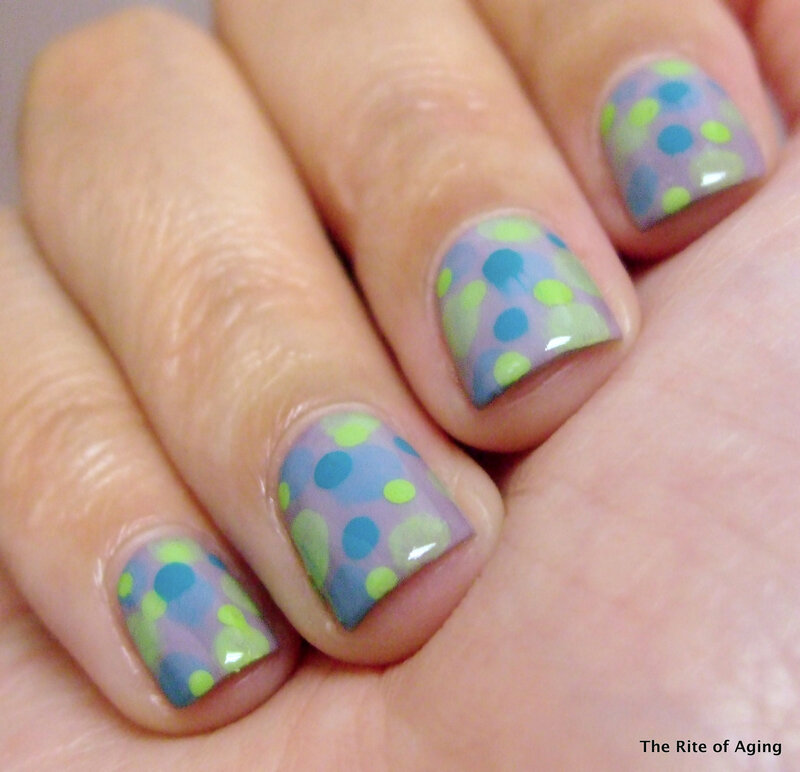 I layered sheer polishes and dots to create a foggy effect. I started with two coats of Sephora by OPI Metro Chic as my base. I “nimbus-ed” with cotton swabs, dotting tools, Barry M MNP– 10/Cancun, and Barry M GNP– 14/Key Lime. Don’t forget to check out the other manicures below!